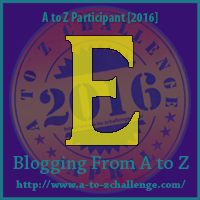 If you’re new to my A to Z Challenge theme, it’s about the meanings of flowers during the 19th Century when every blossom in a bouquet had a special meaning. The Victorians combined various flowers to convey all kinds of messages. I’m only on the Letter E, and I’m thinking that writing a letter might’ve been easier than remembering what all the flowers meant! If you know the story of Sleepy Beauty, then you’ll recognize this flower as Aurora’s country name (Briar Rose) and the thorny vine Maleficent made grow around the castle to keep out any prince who dared try to wake Aurora. The eglantine is the native rose briar plant in England. The thorny vines and beautiful wild roses meant both pleasure and pain. Another meaning is “I wound to heal,” which, honestly, I don’t understand. Do you have any ideas of how someone might’ve used this flower in a message? Long before the story of the Van Trapp Family and their escape from Austria during World War II (Sound of Music, of course), the edelweiss flower meant noble courage. This flower is a dainty burst of small white flowers. I means compassion.